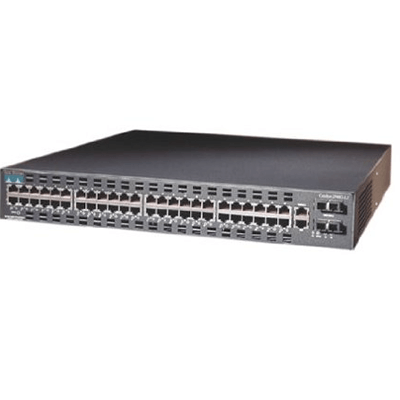 The SWITCH CISCO 3750-24T-S Series stacks up to nine switches as a single logical unit for a total of 468 Ethernet or PoE 10/100 ports, or 468 Ethernet 10/100/1000 ports or PoE 10/100/1000 ports, or nine 10 Gigabit Ethernet ports. 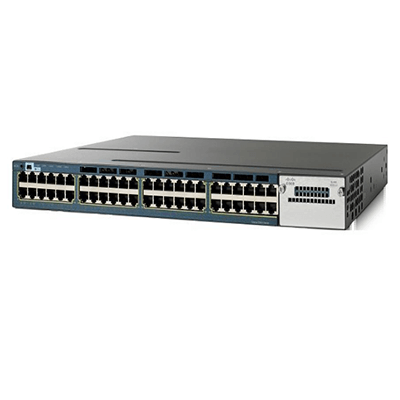 Additional port combinations can be created by connecting the Cisco Catalyst 3750-E Series Switches to the stack. Individual 10/100, 10/100/1000, and 10 Gigabit Ethernet units can be joined in any combination to evolve with network needs. 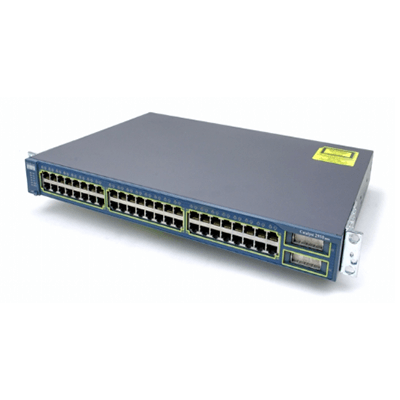 The SWITCH CISCO 3750-24T-S version checking and loading of the global configuration parameters provide the first level of operational time saving. The second level is added during the event of an outage. When you remove a troubled switch from an existing stack of switches and replace it with another switch, the master switch will recognize this as a maintenance outage and automatically reload the port-level configuration that was on the previous switch without user intervention. This allows IT managers to have local personnel in remote locations perform maintenance tasks instead of sending costly technicians out for a few minutes of work, thus saving thousands of dollars in operational costs. 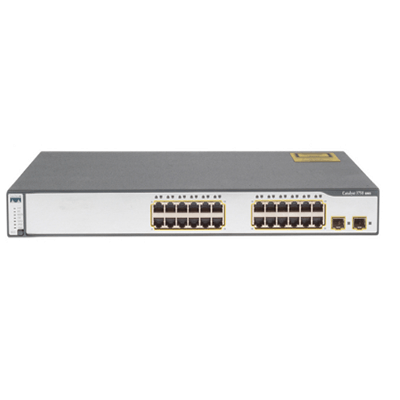 The SWITCH CISCO 3750-24T-S Integrated Wireless LAN Controller integrates wireless LAN controller functions into the Cisco Catalyst 3750G Series Switches and delivers improved operating efficiency and WLAN security, mobility, and ease of use for business-critical wireless LANs. 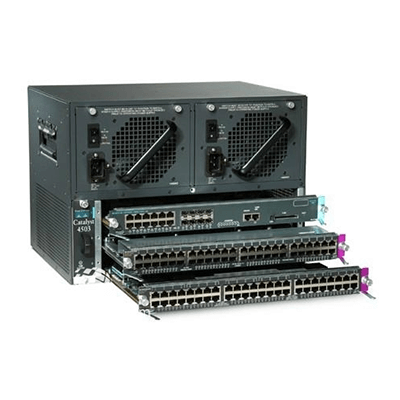 The SWITCH CISCO 3750-24T-S Integrated Wireless LAN Controller delivers centralized security policies, wireless intrusion prevention system (IPS) capabilities, award-winning RF management, QoS, and Layer 3 fast secure roaming for WLANs. As a core component of the Cisco Unified Wireless Network, the Cisco Catalyst 3750G Integrated Wireless LAN Controller provides the control, security, redundancy, and reliability that network managers need to scale and manage their wireless networks as easily as they scale and manage their traditional wired networks. 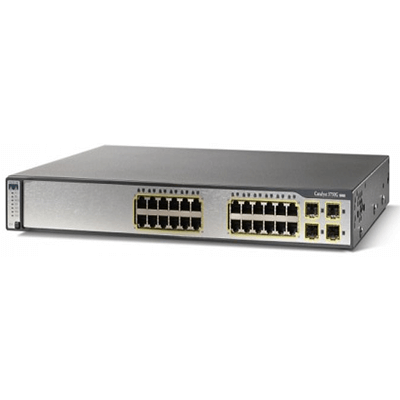 The SWITCH CISCO 3750-24T-S Series increases availability for stackable switches. Each switch can operate as both a master controller and a forwarding processor. Each switch in the stack can serve as a master, creating a 1:N availability scheme for network control. In the unlikely event of a single unit failure, all other units continue to forward traffic and maintain operation. 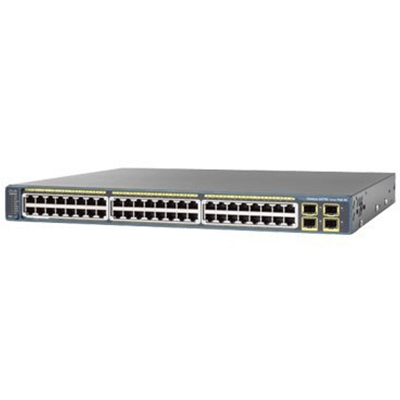 The SWITCH CISCO 3750-24T-S Series offer Gigabit and 10 Gigabit Ethernet speed with intelligent services that keep everything flowing smoothly, even at 10 times the normal network speed. Mechanisms for marking, classification, and scheduling deliver best-in-class performance for data, voice, and video traffic, all at wire speed. 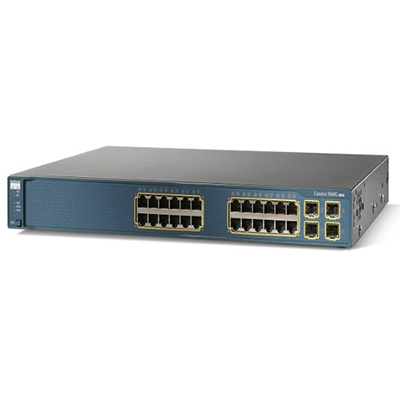 The SWITCH CISCO 3750-24T-S Series supports a comprehensive set of security features for connectivity and access control, including ACLs, authentication, port-level security, and identity-based network services with 802.1x and extensions. This set of comprehensive features not only helps prevent external attacks, but also defends the network against “man-in-the-middle” attacks, a primary concern in today’s business environment. 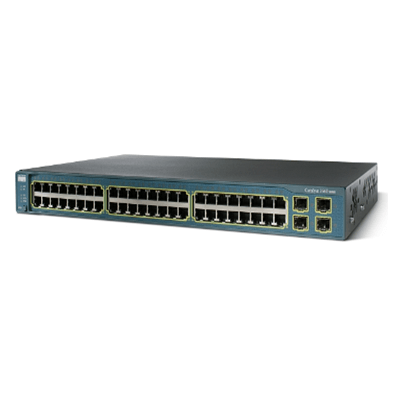 The SWITCH CISCO 3750-24T-S models support Cisco IP phones and Cisco Aironet® wireless LAN (WLAN) access points, as well as any IEEE 802.3af-compliant end device. 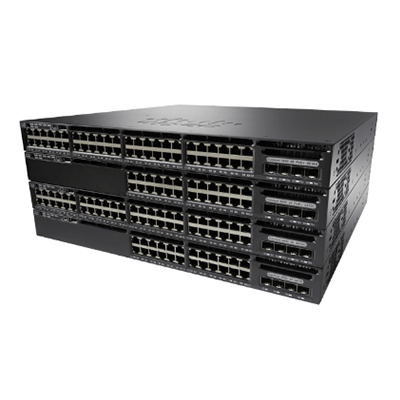 The Cisco Catalyst 3750 and 3750G 24-port versions can support 24 simultaneous full-powered PoE ports at 15.4W for maximum powered device support. The 48-port versions can deliver the necessary power to support 24 ports at 15.4W, 48 ports at 7.7W, or any combination in between.